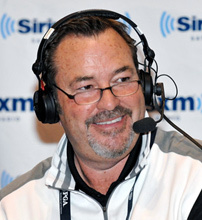 1992 PGA Tour Rookie of the Year, Host of "The Mark Carnevale Show" SirusXM Radio, and member of the SirusXM PGA Tour Radio Live Broadcast Team. "I've never been someone that went for training devices, but "Just Squeeze It" is an absolute must have. Wrist, Arm and Upper Body Strength are not only an integral part of a good golf game, they are essential for a "Healthy Life". This is the simplest way I know to achieve that strength. It's an absolute "No-Brainer". "Just Squeeze It" today, will lead to better golf tomorrow!" Chad Gott, MPT, is the director of physical therapy at our Lone Tree location. He received his Bachelor of Science degree in Health Science and a Master degree in Physical Therapy from Loma Linda University. 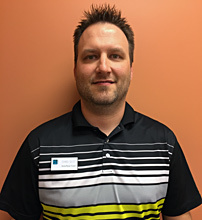 Chad is passionate in the advancement and growth of Physical Therapy, so that all in need can receive specialized care. He has a strong background in manual therapy incorporating a Maitland Australian approach. He has great success rates when working with a simple sprain to the more complex patient. Chad is the father of two beautiful boys. He enjoys hiking with them and his lovely wife Gleandy. I have been using the steering wheel cover now for several months and have found it to be above my expectations. Every time I get into my vehicle and use it, it seems to help relieve some of my anxiety and stress that has incurred throughout my hectic day. More importantly it has helped me to deal with the arthritis that I have in my wrists. Over the last couple months my hand strength has increased, which has helped me provide better manual therapy. I feel that it is the best option out there especially in this time and day when we are in our vehicles for long periods of time. I highly recommend that you purchase one of these covers and see what it can do for you. The 58 year old transitioned to the Champions Tour in 2007 after 18 full seasons on the PGA Tour. He followed two PGA wins (and more than 4 million in earnings) with five senior titles and won his first Champions Tour tournament he entered and matched Bobby Wadkins as the tour's youngest winner at 50 years and 10 days old. 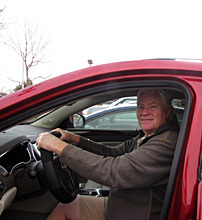 He presently lives on Colorado and is an avid skier and loves fishing. Best golf tip he ever received was to "just be patient". Biggest thrill outside of golf is living in Denver with his wife and three children. 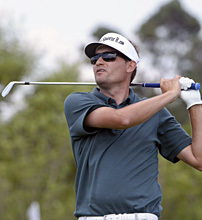 His oldest son, Gunner, turned professional in 2011 and will be playing on the PGA Latin-American Tour. Chip off the "OLD" block. Owner of Lenny's Golf over 30 years and avid amateur golfer. "I have been selling golf equipment and training aids for over 30 years in Colorado and this "Just Squeeze It" cover is fantastic. I can't keep my hands off of it. Besides increasing my hand, wrist and forearms strength, I find it very addicting. LOVE IT!" 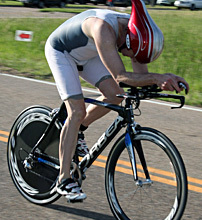 Dr. Brad Draper is a category 4 cycling racer and triathlete. He competes or participates in dozens of events annually. He has completed the Ironman Texas, Ironman 70.3 St. George, Lotoja (5x), Leadville 100, Bailey Hundo, Leadville Silver Rush 50 (2x), Mount Evans Hill Climb (2x), Triple Bypass (6x), Copper Triangle (6x), Denver Centry (2x) BVBF, Blue River Century, Vuelta Keystone, and dozens of other local road races, crits, time trials, triathlons etc. He also enjoys skiing, snowboarding, water skiing, wakeboarding, windsurfing, rock climbing, tennis, racquetball, squash, weight training and other sports. Grip strength is essential for all types of sporting activities as well as general health. He uses Just Squeeze It to increase and maintain grip strength on a daily basis. 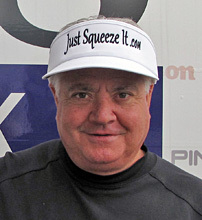 "I am presently playing on the South American Professional Golf Tour and use my Just Squeeze It steering wheel cover daily. What a difference it makes in my golf swing and overall upper body fitness. This product will be used all over the world by golfers and athletes who want to improve their grip strength." Blair was a former teaching professional at Cordova Bay Golf Course in Victoria, B.C. and acted as a JapanGolf Industry Consultant and ordered, fitted, custom built and delivered PING golf equipment for the Japan Golf Tour Professionals. Speaks a very high degree of Japanese language fluency. He designed and oversaw all R&D related activity with the "YES!" Golf putter line which was acquired by Adams Golf. 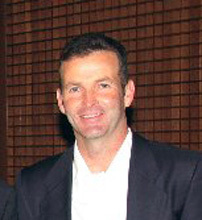 He presently is manager of Breakthrough Golf Design, LLC. "Every golfer on Tour has stronger hands, by far, than the average golfer. Grip strength is absolutely fundamental to hitting long, consistent shots. They do it by hitting balls for hours every day, you can get the same strength just by squeezing an Autogrip. I have tested it extensively and this product works!" 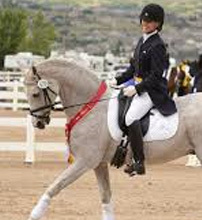 "I have competed nationwide for more than 15 years in the equine sport of Dressage. Dressage requires precise reining movements and supple wrists. The repetitive process for a Dressage rider can be quite fatiguing. Driving a car can exacerbate this problem but Just Squeeze It is the perfect remedy! Gripping the steering wheel becomes exercise which gently strengthens my hands, wrists and forearms. I love driving with Just Squeeze It !" 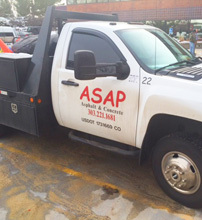 Tom Galie is Operations Manager for ASAP Asphalt and Concrete in Colorado, one of the Rocky Maintains’ premiere property maintenance companies with a fleet of twenty vehicles. All 20 company trucks have the Just Squeeze It steering wheel covers installed and our work force like them so much they put them on their own personal vehicles.